As homeschooling parents, we all know that reading aloud is arguably the most important thing we can do for our children’s future success. And yet, sometimes, we lose our read-aloud rhythm. Bedtime is the perfect example of a lost read-aloud rhythm. I don’t know about you guys, but bedtime is less than peaceful around here. While I yearn to read a stack of books to my children. I imagine us snuggled up in bed together, arms around each other. I picture my children freshly clean and soap-scented. And, of course, they are rapt. They are hanging on every word and begging for just one more chapter. But in reality, bedtime is often anything but peaceful. I spend that pre-bedtime hour kid-wrangling. I beg them to calm down. I corral their wild little bodies into the tub. I remind them to use soap. To stop instigating. To keep their hands to themselves. To put on jammies and brush teeth. By the time we are ready to read, everyone is utterly exhausted. Still, I pick up that book because it is what we are told to do. Bedtime reading is a thing. Everyone does it. It’s super important. We know we should read aloud to our children, but it truly doesn’t matter when we read aloud. It doesn’t matter if you read before bed, or if you read aloud over your morning coffee. You need to do what works best for your unique family. Read alouds should work for your family. What works for one family may not work for another. 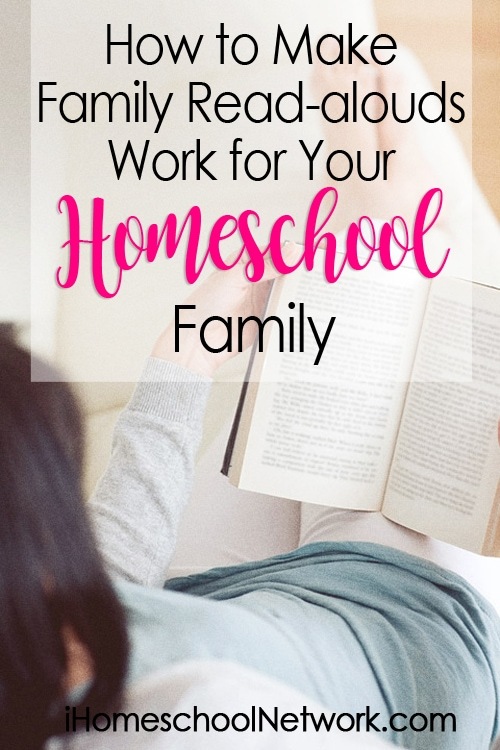 Today, I am going to tell you what works for mine in hopes that it might help your homeschool read-aloud rhythm. I used to feel guilty at night, once I’d put the kids to bed. If our bedtime reading did not go as planned, I’d feel crummy. After all, I am a book lover. I had a children’s book library before I had kids. Reading is easy for me; there is no reason why it should feel hard. Then, the funniest thing happened. It happened slowly over time. So slowly, in fact, that I could only see the change in retrospect once others had commented on it. It all started one winter. It was cold and gray and dreary. The kids had been bouncing random viruses back and forth and my husband had been working a lot. I felt utterly exhausted and completely burned out. A lifelong morning person, I suddenly found myself unable to wake up before my children. This made our mornings tricky because, having lost my morning planning time, I woke up feeling behind. One day, I started with the easiest thing: a read-aloud. I grabbed a cup of coffee, a stack of delicious books, and I read to my kids as they ate breakfast. I didn’t know it then, but we had embarked on a new tradition: Coffee and Books. It’s funny to think that what felt so hard at night came easily – and happily- first thing in the morning. We are a family of morning people and so it makes sense that our read-aloud rhythm would flow smoothly in the morning, with coffee. 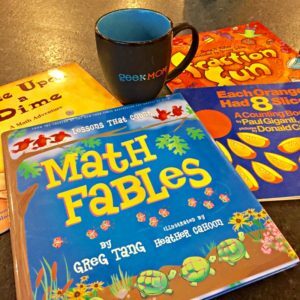 Coffee and Books levels the playing field when you are homeschooling multiple ages; everyone can listen in! Coffee and Books has helped me to see that learning can be relaxed and fun. 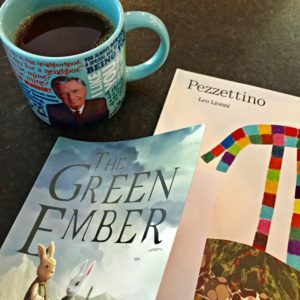 In fact, in the past year, we have taken our Coffee and Books to the next level with gameschooling. If we are reading a stack of fantastic math books, I’ll grab a favorite math game to play when we have finished reading. We still read at night, but if it goes poorly I don’t fret. I know we’ll make up for it with Coffee and Books. Make your read aloud work for you. You won’t regret it! Now it’s your turn. Tell us: How do you make read alouds work for your family? I absolutely love this idea! I struggle to fit in read aloud time during the middle of the day. I think waking up with “Coffee and Books” may give my children a peace about the morning instead of getting up and ready to start lessons for the day. I will begin this transition our very next school day. Thank you for your post! Thanks, Amanda! I hope that it helps your family. Let me know how it goes!